Six students at Penobscot Community School graduated in front of family, friends, teachers and students during a ceremony on June 14. 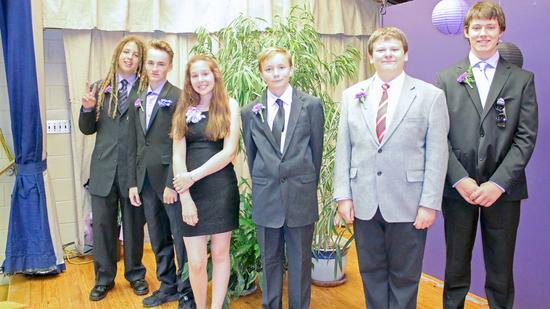 The 2018 graduates from Penobscot Community School are, from left, Solomon George, Tyler Goodman, Kaylin Welts, Aidan Robinson, Oryon Atwood and Wyatt McKechnie. 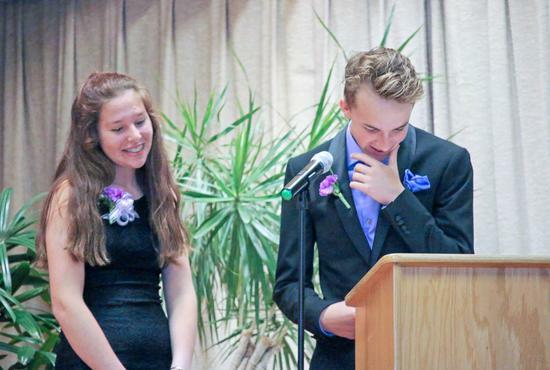 Eighth graders Kaylin Welts, left, and Tyler Goodman read the class history during the Penobscot Community School graduation on June 14. 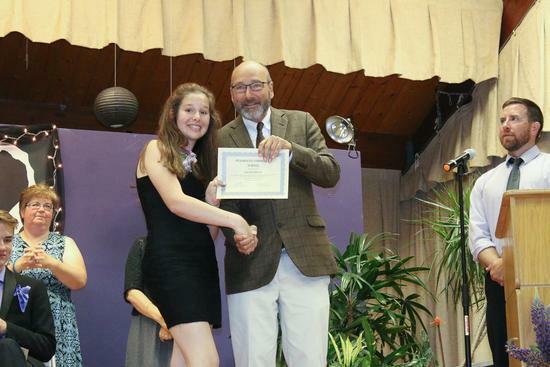 Eighth grader Kaylin Welts accepts her diploma from Union 93 Superintendent Mark Hurvitt during the Penobscot Community School graduation on June 14. 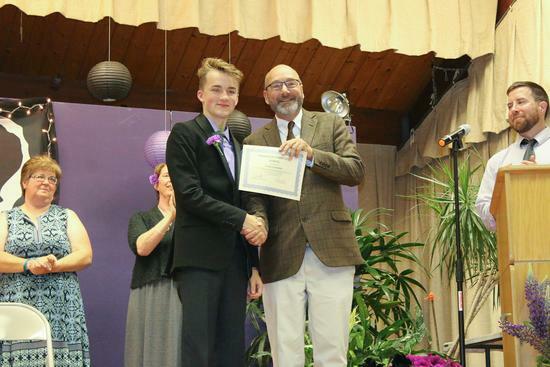 Eighth grader Aidan Robinson accepts his diploma from Union 93 Superintendent Mark Hurvitt during the Penobscot Community School graudation on June 14. 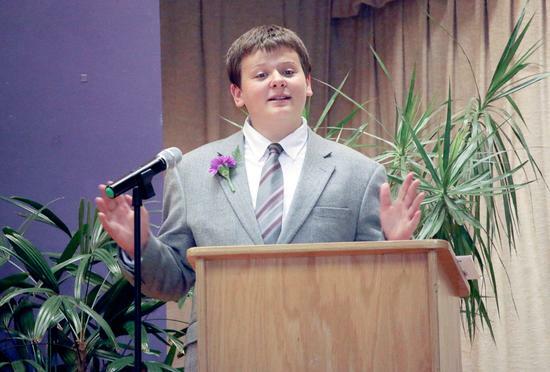 Eighth grader Oryon Atwood welcomes family, friends, teachers and students to the Penobscot Community School graduation on June 14. 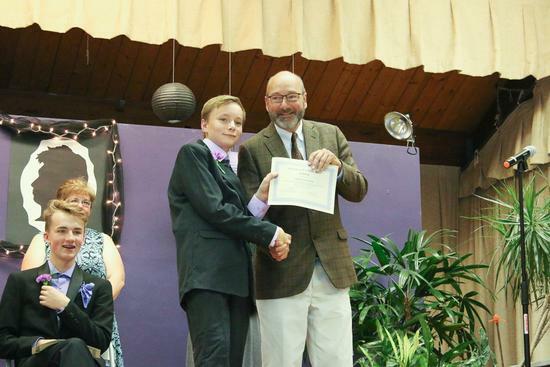 Eighth grader Tyler Goodman accepts his diploma from Union 93 Superintendent Mark Hurvitt during the Penobscot Community School graduation on June 14.